Jan to June PR Wrap Up! It’s been a incredibly busy first six months of 2015 for Ford Digital Agency. From Kettle and Tin in Paddington to Cobbler in West End we’ve been sprinkling our PR magic across Brisbane. 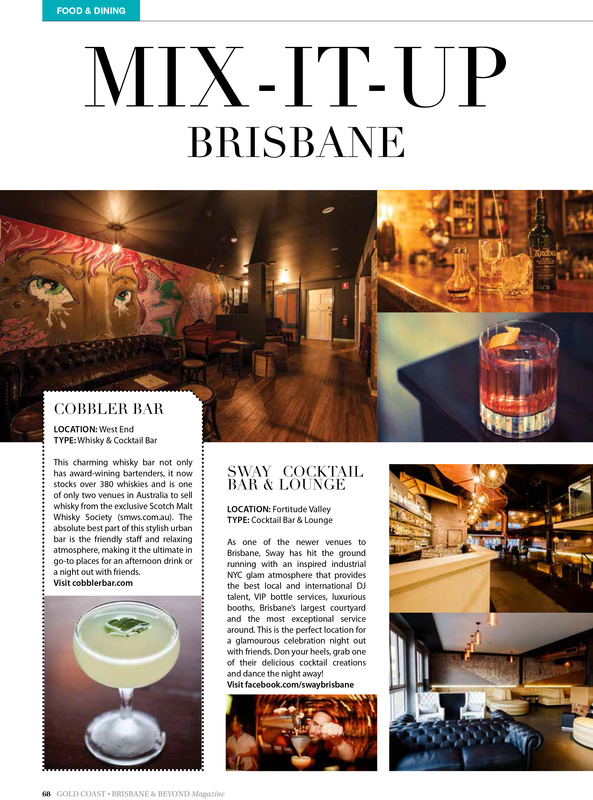 We started off 2015 bringing in the New Year at Sway Bar in Fortitude Valley, with a Mix It Up feature in Gold Coast, Brisbane and Beyond magazine. Sway Bar’s industrial, glam atmosphere has been proving popular with the locals. Cobbler Bar in West End has had a stellar start to 2015. They were also featured in Gold Coast, Brisbane and Beyond. 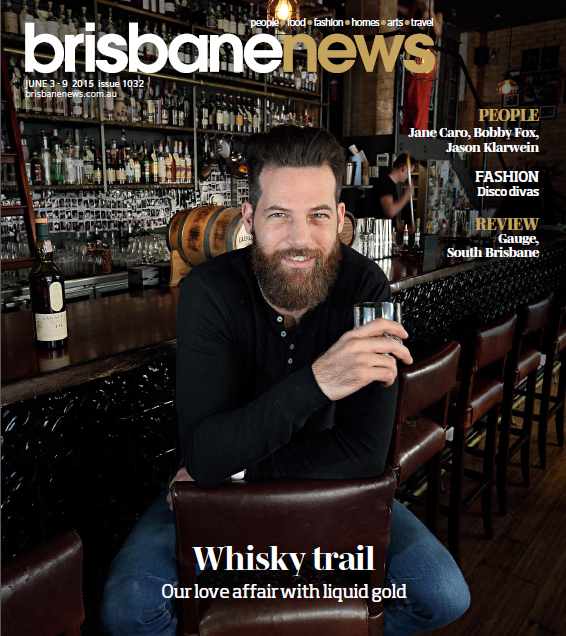 The peak for the year though has definitely been for owner/operator Martin Lange, who was featured on the front cover of Brisbane News magazine as part of a whisky story. We know that it’s only up from here for Cobbler and we can’t wait to share their successes for the second half of the year. 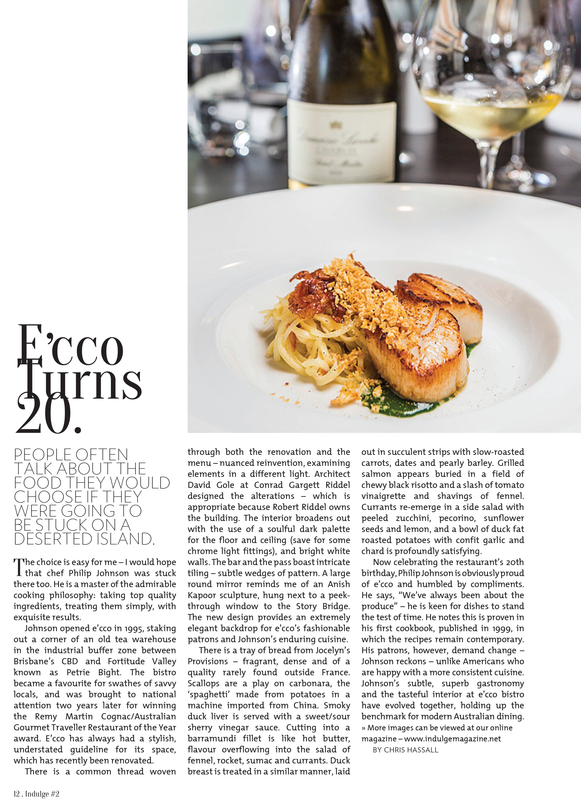 e’cco bistro has also had a super exciting start to 2015, with features in Indulge magazine, the Courier Mail and Gourmet Traveller, the press coverage for this Brisbane favourite has been fantastic. 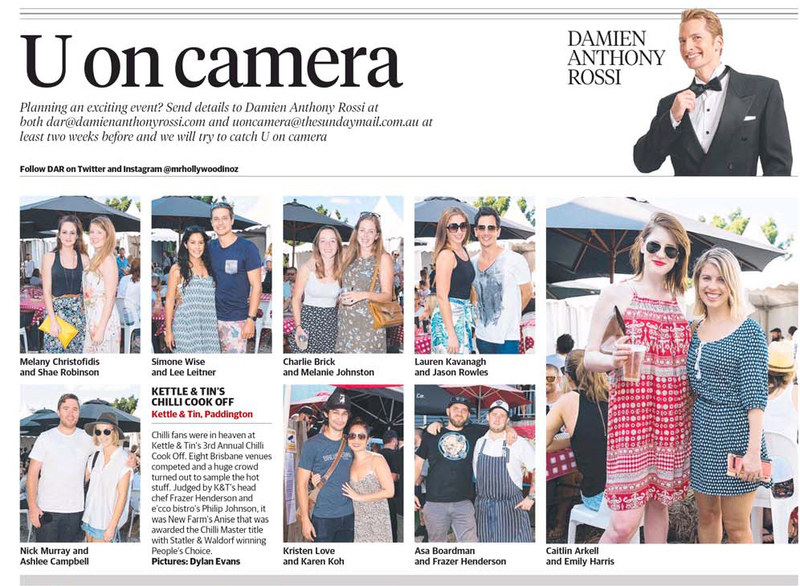 Respected Australian newspaper, the Australian Financial Review included e’cco in it’s top 500 restaurants in Australia; a deserved inclusion for owners Philip Johnson and Mary Randles, who are celebrating the restaurant’s 20th year in 2015. Johnson was recently presented with the Vittoria Coffee Legend Award at this month’s Good Food Awards. e’cco has also welcomed new head chef Simon Palmer who has just launched a brand new menu, providing a new direction for the restaurant. Exciting times indeed at e’cco who are on the up and up. One of our personal favourites so far this year has been the Kettle and Tin Chili Cook Off. It’s always a great event but this year it was bigger and better than ever! The event garnered an amazing response from media featuring 36 times in 15 different publications over 6 weeks. We were thrilled to see the 3rd Annual Chili Cook Off getting the hype it deserves. Anise took out the coveted title of Chili Master with Super Whatnot voted people’s choice. 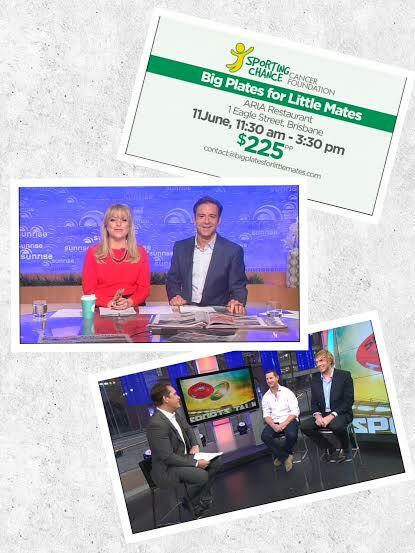 We have also been incredibly lucky to have been working with the Sporting Chance Cancer Foundation on their Big Plates for Little Mates charity lunch here in Brisbane at Matt Moran’s Aria restaurant. We are so proud that the event raised over $250 000 to help children with cancer. Our engagement with the charity saw us secure coverage around Australia, across multiple mediums including print, radio and TV. Some of the highlights included spots on Triple M, Nova, HIT 105, Weekend Sunrise and Nine News. It was fantastic to see such a worthwhile cause attracting so much attention within the media. Looking forward to another huge six months here at Ford Digital. Need PR? Have an event coming up? Need some help? Contact us! Previous PostBig Plates 4 Little MatesNext PostWelcome Anise!